It’s not often a team gets blown out on national television 52-21 and the line moves in their favor, but that’s what we have in this matchup. Last week the Panthers were -3 at the SuperBook and -1.5 at FanDuel Sportsbook. Even after getting drilled by the Steelers, the line moved to Carolina -4. That’s because the Lions are arguably the second worst team in the NFL right now. Detroit is 0-3 both SU and ATS in its last three games, losing by 14, 15 and 12 points over that span. Carolina didn’t show up last Thursday night in Pittsburgh but prior to that loss the Panthers were riding a three-game winning streak SU and ATS. While the Lions look like they’ve waived the white flag on the season, it should be noted that the Panthers aren’t the same team away from home. Carolina is 1-3 SU and ATS on the road this season with its lone win being a come-from-behind victory over the Eagles. Meanwhile, the Lions are 2-2 SU and ATS at home with wins over the Patriots and Packers. There seems to be some value here with the Lions. The problem is Detroit has looked lifeless in its last three games, so it may not matter. You won’t see many games with a bigger line change since the summer than this one. When CG Technology released its lines for every NFL game back in May, the defending Super Bowl champion Eagles were a 2-point underdog in New Orleans. Last week when the early lines were released, the SuperBook pegged the Saints at -6.5 with the game off the board at FanDuel. Now the number is -8 and even as high as 9 at some shops. The Saints come into this game on a roll. New Orleans was won and covered seven straight. After two big wins over the Vikings and Rams at home, the Saints were in a letdown spot last week in Cincinnati. They responded by blowing the Bengals out of their own stadium, 51-14. The Eagles are going in the opposite direction. Philadelphia was coming off a bye last week following a win over the Jaguars in London. The feeling was the Eagles were about to go on a run. Instead, the Eagles lost outright at home to the Cowboys as a 7-point favorite. Since beating the Falcons on opening night, Philadelphia is just 2-6 ATS this season. This is the biggest underdog the Eagles have been since Week 13 of 2015 when they were a 9-point dog to the Patriots. Philadelphia won that game 35-28. 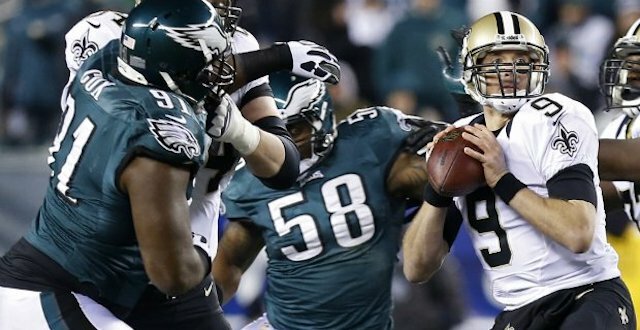 The Saints are being a little overvalued here with the Eagles’ season on the line. Expect a strong effort from the defending champs Sunday. Speaking of Pittsburgh, the Steelers were on the other side of that blowout last Thursday night. Both oddsmakers and bettors are buying the Steelers after their big win over Carolina. The Steelers were -3 at the SuperBook and -2.5 at FanDuel last week. 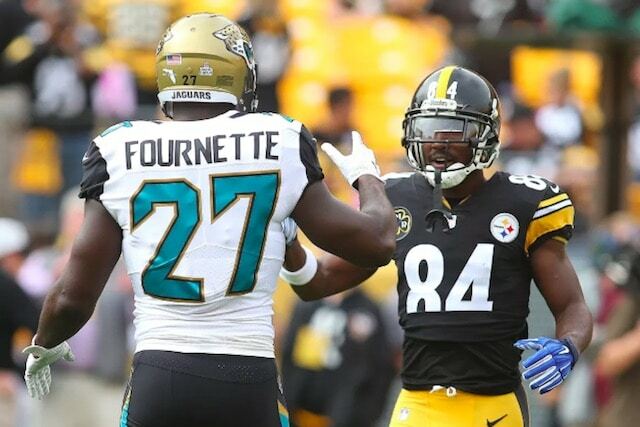 However, after Pittsburgh won easily and the Jaguars dropped their five-straight game in a 29-26 loss to the Colts, the line moved out past the key number 3 and past the 4. The SuperBook actually opened the number at Pittsburgh -3.5 on the road but it moved to 5.5 in just under 24 hours. Other shops opened the Steelers at -5 or 5.5. The line movement to Pittsburgh was predictable. The Steelers have won and covered five consecutive games, while the Jaguars are 0-4-1 ATS during their five-game losing streak. Jacksonville hasn’t been profitable for bettors at home going just 1-3 SU and ATS. The Steelers have been the opposite on the road, cashing in three of four games. On the surface there’s value here with the Jaguars in a desperation game, but what kind of effort we can expect from Jacksonville? The Jaguars lost a tough game against the Colts last week after coming off a bye. Considered a Super Bowl contender before the season, the Jaguars now sit at 3-6. Call it an AFC Championship hangover. We’ve said it before and we’ll say it again, oddsmakers just don’t like the Redskins. Washington keeps finding ways to win but once again, the Redskins are a home dog on Sunday. The Texans were on a bye last week and the line has still moved in their direction. In the early lines released last week, Houston was a pick ’em at the SuperBook and -2 at FanDuel. That number has moved to the Texans laying a field goal on the road. Houston comes in red hot, winners of five-straight games, going 3-2 ATS. The Texans have covered their last three games on the road after starting the year 0-2 ATS away from home. Washington is coming off a… bizarre victory last week against a Buccaneers team that managed just 3 points on 501 yards of offense and 29 first downs. The Redskins are 4-1 both SU and ATS in their last five games, however their offensive line is a patchwork after losing both starting guards for the season as well as left tackle Trent Williams, who remains sidelined after thumb surgery. 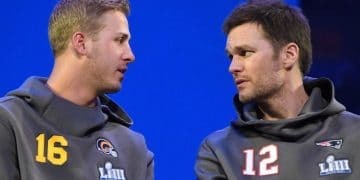 This looks likes like an even game between two 6-3 teams but it’s obvious oddsmakers and bettors are higher on the Texans than the Redskins who, cliche as it sounds, have just found ways to win. But that nearly all-backup Redskins offensive line will have its hands very full against Houston’s front seven. Still, the play here is the home dog catching 3 or pass.